You may have seen stories in the media recently on fats in our diet; saturated, unsaturated and trans to be precise - with studies offering new information on what we can and can’t eat and how much is ok. 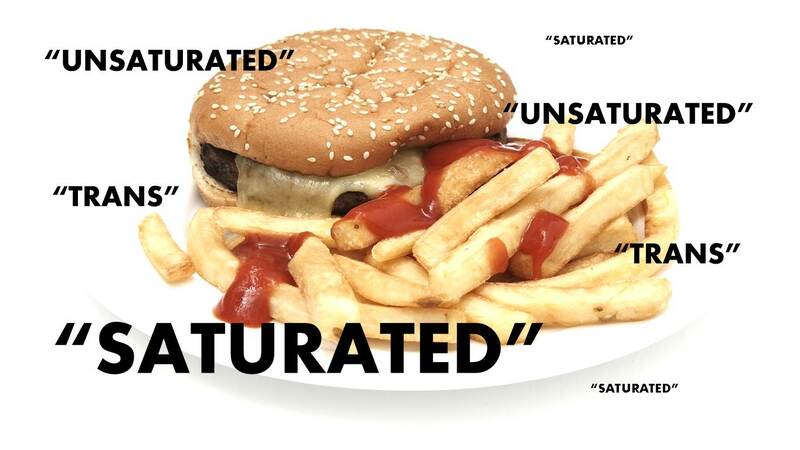 Saturated fat is mainly found in animal sources of food, so meat and dairy products. Foods such as butter, pies, cakes, biscuits, fatty cuts of meat, sausages, bacon, cheese and cream tend to be high in saturated fat. However palm and coconut oils are increasingly finding a place in our food, and although both nut oils they are high in saturated fats, and indeed coconut oil contains more saturated fat that butter! These foods can be eaten occasionally in small amounts as part of a healthy balanced diet. However, as a nation, we are eating too much saturated fat, far exceeding official health recommendations. As mentioned previously, saturated fat should form no more than 11% of your daily calories. That’s around 20 grams a day for women and 30 grams for men. Children should consume even less. However as a nation we get 12.6% of our energy from saturated fat. This is worrying, as the evidence shows that too much saturated fat in the diet raises blood cholesterol levels, increasing the risk of heart disease and stroke. Too much fat in the diet can mean too many calories leading to weight gain and obesity which significantly increases the risk of developing heart disease, type 2 diabetes and some cancers. With 62% of the population being overweight or obese, it is important that we cut back on calories, and one way to do this is to cut down on foods with saturated fat in our diet. Of course dairy products like milk, cheese and yoghurt, form part of a healthy diet. But they too can be high in saturated fat so it’s important to make healthier choices and go for lower fat options. Try to check nutrient labels and colour coding on food packaging and choose options with more greens or ambers. The NHS Choices website contains helpful tips and advice on cutting down on saturated fat. Find out more about a healthy balanced diet in the eatwell plate section. some fruit and vegetables, such as avocados. As part of a healthy diet, we should try to cut down on foods and drinks high in saturated fats and trans fats and replace some of them with unsaturated fats. 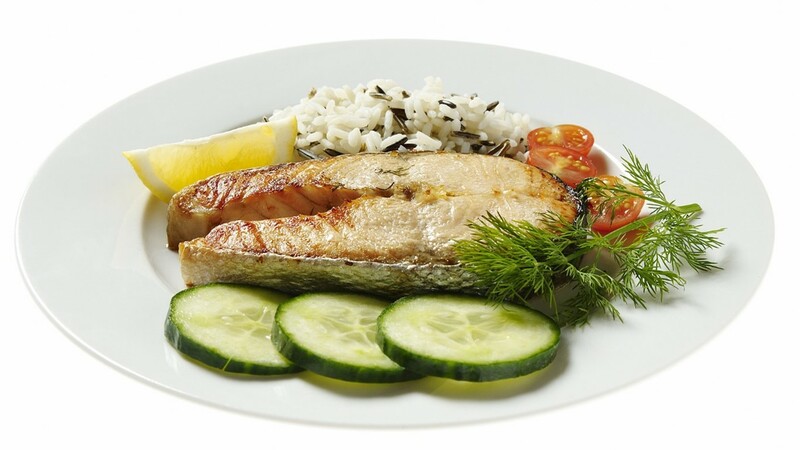 Within this, it is recommended that we eat two portions of fish per week, one of which should be oily fish. This is because the scientific evidence tells us that replacing saturated fats with unsaturated fats can help lower cholesterol, which can decrease your risk of heart disease. The majority of trans fat in UK diets comes from natural sources in meat and milk. We know trans fats are harmful to health, but in the UK average consumption is already well within maximum recommended levels and is falling. This is thanks to the efforts of food manufacturers and retailers to remove artificial trans fats from their products. The majority of processed foods in the UK no longer contain them. A recent Canadian study published in a British health journal highlighted the dangers of trans fats even in small quantities, but this is a far greater issue in the USA where trans fats are still used in a number of processed foods. So in a nutshell, we are eating too much saturated fat and should swap foods high in saturated fat for those with unsaturated fats. 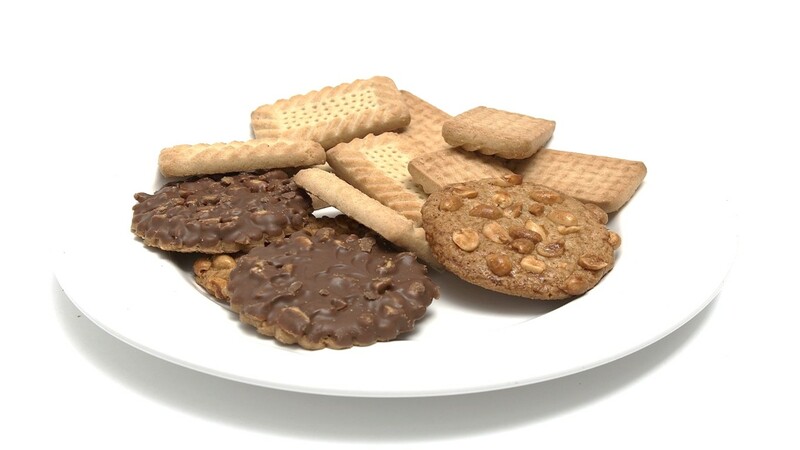 Trans fats are harmful but not a problem in the UK as they are rarely used in processed foods. In 2008 SACN endorsed the recommendation that intake of all fats should not exceed 35% daily energy (kcal) intake. Average intake of total fats for adults 19 to 64 years old is 34.6% (food energy) for 19 to 64 year olds. In 2007 SACN recommended that intake of trans fats should not exceed 2% daily energy (kcal) intake. Average intake of trans fats for adults 19 to 64 years old is 0.7% of daily energy (kcal) intake. In 2008 SACN endorsed the recommendation that intake of saturated fats should not exceed 11% daily energy (kcal) intake. I agree whole heartedly about the association of linoleic acid with the rise in heart disease, in the early 1900s when Vegetable? oils and Crisco came into popular use in America. Another fact is that they found that linoleic acid was an excellent agent to prevent rejection in transplant patients! But they had to Stop using it because they were all developing Cancers! Sorry but Polyunsaturated seed oils should be taken out of the food chain. I agree whole heartedly about the association of high quantities of linoleic acid with the rise in heart disease, in the early 1900s when Vegetable? oils and Crisco came into popular use in America. Another fact is that they found that linoleic acid was an excellent agent to prevent rejection in transplant patients! But they had to Stop using it because they were all developing Cancers! Sorry but Polyunsaturated seed oils should be taken out of the food chain. The Healthy fats to eat are the fat as it comes with meat from animals! A balance of Saturated, Monounsaturated and Polyunsaturated in a balance compatible with the lipid composition of our cell membranes. The saturated fatty acids are essential for the protection of the fragile unsaturated fats to prevent their oxidation and or Glycation. The only comment that one can make about the new "eat-well"??? guidelines is "INSANITY". How on earth can eating an increased amount of the one macronutrient (carbohydrate) of which we have ZERO requirement for (and that must tell you something about the insanity of basing ones diet on it) and is the prime driver of insulin, the hormone that drives fat accumulation and storage, (also blocking fat release from the adipocytes). This dietary advice can only increase obesity and Diabetes, which have been rising steeply since 1983 when they told us to cut back on fat and eat more carbs. The conventional wisdom of the 1900's up to the 60's was that Carbohydrates were uniquely fattening and the doctors and Dieticians treatment advice was "Stop eating Bread, Cereals, pasta, potatoes and anything made with Flour or Sugar, eat all you want of Meat, Fish, Eggs, cheese full fat dairy and green vegetables , Fruit in moderation except no Bananas or Grapes. This was very successful until they decided that it had to go because of the saturated Fat Myth and cholesterol dogma. Take note that scientific studies have implicated Insulin as a significant risk factor for high blood pressure, heart disease, high cholesterol, Obesity and Diabetes. Anyone who is obese, is almost certainly going to be Insulin Resistant with metabolic syndrome. So whoever thinks this diet advice is going to cure obesity, has Lost the Plot! I would like to make a profound statement, that people are Not fat because they eat too much!, They eat too much because the Are Fat. The logic being that because of insulin resistance, the energy they consume is not able to get into the cell, hence they have to over eat to compensate. We should be eating a diet based on what we Evolved to eat! And that did Not include processed grains. they have only been in man's diet for a quarter of 1% of our evolutionary history, and indigenous populations like the Maasai tribe of Kenya eat a diet of 70% fat and very little carbohydrate, yet the extensive studies on them have shown extremely good health and longevity with no signs of the diseases of our western culture. Please tell me how this dangerous diet guide, which incidentally falls woefully short of fulfilling the Basal Metabolic Rate (which HAS to come from Protein and Fat). Most of the fat they consume is from milk of their grass-fed cattle and much of it is fermented. On average they move about during the day 75% more than the typical Westerner. Before drawing the wild assumptions about the fat being great, scientists need to determine the importance of the milk being fermented and moving 75% more. There are more examples of long-living populations that get over 85% of their daily calories from whole plant-based products. Having read this through a couple of times, I begin to wonder if the authors of this page have any real grasp on what Fats are. There is a lot of information just relating to the same mantra that has been promulgated through the world of dieticians for years! First of all every animal fat has MORE Unsaturated fat in it than saturated! As does the lipid bilayers of all the cells in the human body. yet dieticians seem to think that animal fat = saturated fat... The fact of the matter is that saturated fat is there for a purpose and is balanced with the unsaturated fats to protect the small amount of essential polyunsaturated fats from damage (by oxidation) and to keep our cellular structure flexible but rigid enough at the temperature our body works at. Apparently, according to the diet myths, Saturated fat will kill us, yet telling us to eat carbs (supposedly healthy), they seem not to know that any excess blood sugars (above that required at the time for energy) are metabolised in the liver by "De-Novo Lipogenesis" into a fat called Palmitic Acid! A LONG CHAIN SATURATED FAT to store in the adipocytes via VLDL courtesy of Insulin. It's also quite interesting that breast milk to feed our babies is also 50-60% saturated Palmitic Acid fat! So gee wiz our body is hell bent on killing us and our offspring. The mind boggles. They then attack one of the most healthy fats in coconut oil. 60% of which is Lauric acid, a 12 carbon medium chain saturated fatty acid which is not even digested the same as longer chain fats, and taken directly by the blood to provide energy and MCTs have also been shown to enhance thermogenesis, so help with weight loss and metabolism. Butter contains the same! I have yet to find any scientific literature to explain why Saturated fat is supposed to be dangerous, but there is lots of evidence that it is protective. Carbohydrates produce VLDL, raising Triglycerides in the blood; (Known to be a risk factor for heart disease). Saturated Fat however raises HDL and lowers Triglycerides! (supposed to be heart risk lowering). Yet saturated fat is supposed to be BAD! and Carbohydrates GOOD! I wish someone could explain the rationale for this paradox? I have yet to find the scientific evidence that Saturated fat causes heart disease (more the contrary as explained) The mantra is that saturated fat raises cholesterol. BUT! "High Cholesterol causes Heart disease" IS A MYTH!! High cholesterol MAY be a MARKER of heart disease, but NOT the cause. Inflammation is the cause, and what is a major molecule that causes inflammation? INSULIN! and sugars and what raises insulin and blood sugars? CARBOHYDRATE!! And Insulin also creates FAT storage and Prevents Fat burning. The world of nutrition really does seem to have lost the plot. You need to read more....there is ample evidence of the health risks attributed to saturated fat and animal protein. Who would have a vested interest to promote carbohydrate consumption, or reduce natural fat consumption?